As the hot weather arrives, you may be anxious to get your dog to the groomer for a summer cut. With all the outdoor play and heat, it seems like a dog would benefit from a nice short cut, but, while grooming is essential to keeping your dog healthy, a close summer shave may actually cause problems for your beloved buddy. Having your dog groomed for the summer months is important for several reasons. In addition to improving appearance, a proper cut will help your pup to stay comfortable in the heat. Additionally, grooming helps to remove any mats that have formed as a result of the shedding undercoat. If mats are not taken care of, they can prevent the dog’s coat from acting as a cooling mechanism, and they leave her susceptible to skin issues, parasites, and mold. While that close shave is super cute and makes managing your dog’s coat much easier, it probably isn’t the best choice, and it really isn’t necessary for keeping him cool in the summer heat. Most dogs have two coats, and in the summer, they shed the thicker undercoat that keeps them warm in the winter. So, right away, they are naturally cooler in the summer. Additionally, cutting the coat too short can put your dog’s skin at risk. Dogs’ skin is sensitive and can burn easily in the summer sun if it is exposed by a coat that’s too short. Even with an appropriate cut, you may still want to apply dog-specific sunblock to sensitive areas like ears and belly to prevent sunburn. Be sure to provide shelter and fresh water for your dog if she’s going to be out in the sun for extended periods of time. A final negative side effect of an improper cut is that the coat will not grow back to its original beauty, leaving your dog looking raggedy and unkempt. One of the best ways to ensure that your pup gets the right cut this summer is to leave the work to a pet grooming professional. 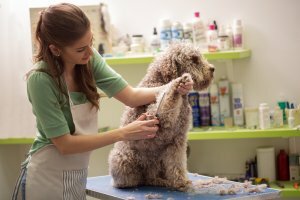 A pet groomer will know exactly what type of cut is appropriate for your breed, and will trim the coat to a length that is manageable, yet safe, for summer weather. 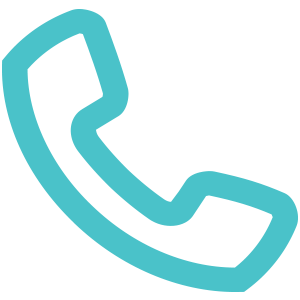 The groomers at Animal Medical Center of Streetsboro are knowledgeable and experienced professionals who will customize your dog’s cut based on breed and time of year. In addition to the cut, our grooming services include a full bath, blow dry, nail clipping, and ear cleaning and plucking. Call us today, at 330-989-0910 to schedule your dog’s summer grooming session.